Our experts partner with compliance teams around the world to provide customisable, user-friendly software solutions designed to simplify every-day compliance processes while ensuring you meet the strictest regulatory standards. Helping you to detect and prevent market abuses that could jeopardise your reputation and regulatory compliance. Actively manage insider lists and investigate employee trading in the context of current market activity and events. Ensure employees’ personal account dealing and investments comply with all regulatory requirements and company policies. Employees with business interests or board-level roles outside your company need to be especially careful to avoid activities that could cause conflict with your business. The STAR platform enables your employees to quickly and easily declare outside business activities. The outside interest declaration forms available through STAR can be fully customised for your organisation. The STAR platform enables you to automate all of your outside business activity pre-clearance processes. 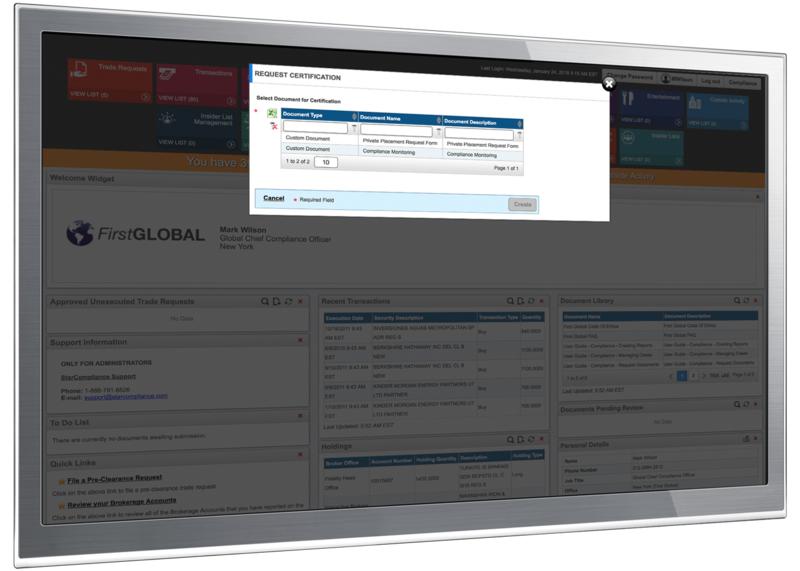 Employees can quickly and easily submit external business declarations and pre-clearance requests. The pre-clearance feature maximises the benefits of STAR’s integration with your company’s HR system, so all details about each employee are taken into account, along with historical business activity records, when making decisions about whether a requested activity constitutes a conflict of interest. The STAR application keeps an active record of outside activities for all your employees so that potential conflicts can be easily detected and addressed. With STAR, there are no limits on the number of external activity declarations, nor on their content. 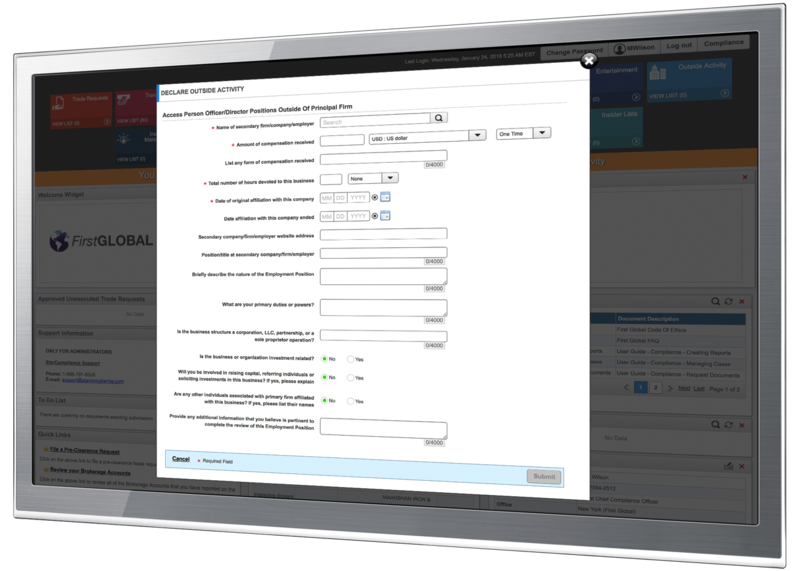 You can customise the wording, question types and format of your declarations to ensure they align with your company policies. Your STAR application enables you to automatically collect and store regulatory certifications and attestations from your employees. At regular intervals you can collate all data on each employee into an attestation or certificate for them to check and approve. It gives the employee an opportunity to flag any inaccuracies in their records or to report anything that has been missed. By submitting an approved attestation, the employee is confirming that all recorded information, business activities and transactions are accurate and comprehensive. It gives your business further proof that you are doing everything possible to detect and prevent conflicts of interest. All approved certificates are stored by the system for future reference and can be viewed or downloaded by your compliance team at any time. The system can also be used to push out information to employees, such as your latest policies and industry regulations so that employees can confirm they have read and understood them. It’s a way of demonstrating to regulators that you are taking the necessary steps to keep employees fully informed of essential compliance information and restrictions. The STAR software includes a comprehensive reporting and management information suite. It gives compliance teams a 360-degree view of all employee behaviour and activity, allowing them to search for data in any field and export information for further analysis. 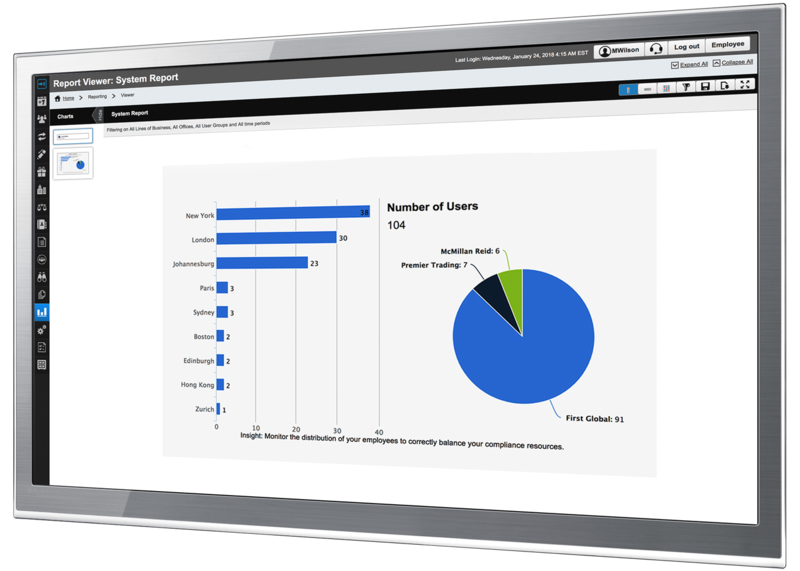 Importantly, for compliance directors and managers, the platform enables detailed, meaningful and accessible reports to be generated. There are more than 100 standard reports in the system, and you can design many more to suit your requirements. You can choose from a range of useful visualisations, graphs and charts to make the information clear and easy to interpret and understand. If you’re looking for software with robust compliance solutions that will improve business efficiency whilst safeguarding the integrity and reputation of your organisation, look no further. Schedule a personalised demo with a Star professional to see what the STAR platform can do for you.